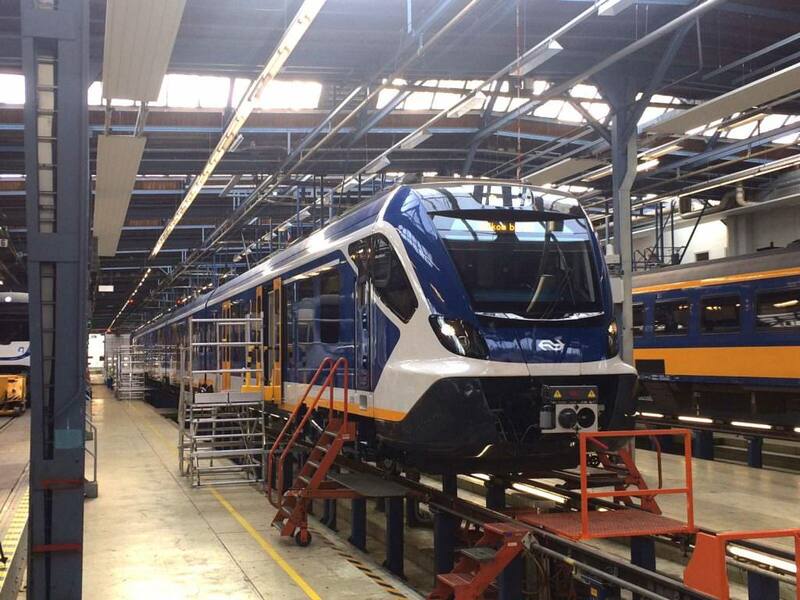 The first Sprinter trains built by Spanish manufacturer CAF has arrived in the Netherlands for testing. CAF is supplying 118 new Sprinter class trains for the Dutch national operator NS. They are being delivered alongside a second order for Sprinter vehicles from the Swiss manufacturer Stadler. The first CAF Sprinter was presented at the Zaanstraat depot in Amsterdam yesterday (October 19). CAF has already completed testing at its factory in Beasain and the trains have already undertaken test runs on the Velim test circuit in the Czech Republic. The first Sprinter has already completed around 40,000km of running and been subjected to extreme weather conditions during climatic testing in Vienna. The new CAF Sprinters will be phased into service next year. Hoorn, Amsterdam and The Hague will be the first regions to benefit from the new trains.